*If you’re feeling adventurous you could puree some fresh mango instead! – On medium heat, add half of chicken stock and our mango-coconut sauce. -Let that simmer on medium for about 10-12 minutes while constantly checking on it. *Mine was not a thick sauce. If you want it thicker you can cut down your chicken stock volume or add a tbspn of coconut flour to thicken it up. 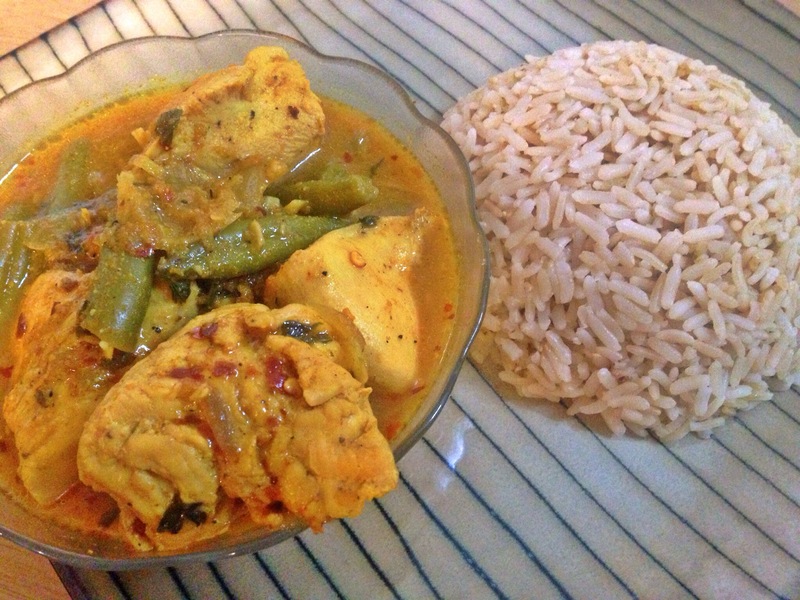 -Now you can serve over brown rice! Such a burst of fresh flavors with a twist!